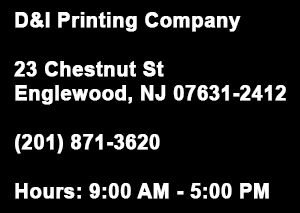 Commercial Printer specializing in Digital Printing, Green Printing and Large Format Printing. Please list all Pantone colors here. Add additional information here if needed. Copyright © D&I Printing Company - All rights reserved.